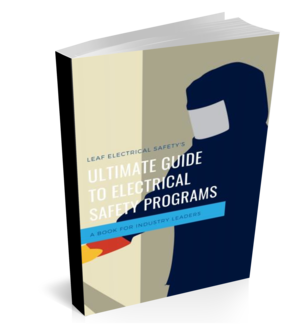 What is the point of electrical safety training? As I think about this more and more, (and believe me, I think about it a lot) I'm starting to wonder what the point of all this safety training really is? And don't get me wrong, I still think it's extremely important but I'm also starting to think that we as training providers and employers have missed the mark on why we are really doing it. We are trying to change the way people do stuff. At the end of the day, I don't care if you know what the limited approach boundary for a 600-volt motor control center is or if you can remember the definition of a qualified worker. What I do care about is what you are going to do in real life situations when you have to work in and around live electrical equipment. People get so hung up on the technical jargon and rules that they forget about the most important thing... decision making. Will you make the right call whether or not to shut down the power? Will you decide on the correct testing device? Will you choose the appropriate PPE? Training needs to focus on why we are doing these things and how to make the right choices. "Practicable... practicable is defined as: capable of being put into practice or of being done or accomplished..." The training instructor went on. I sat there in my chair thinking "Is this guy serious? Who in this room right now is ever going to care if something is practicable?" I was in an arc flash training session with about fifteen veteran underground mining electricians, none of whom would ever care about any of the definitions in the standard let alone the definition of practicable. Here in lies the problem with traditional safety training. It's an information dump. An information dump on a bunch of people who typically don't care about the information. They care about how to use the information and how it's going to impact their day to day activities. People love stories and people love a challenge. Blend those two things together and you now have scenario based learning. "You enter the electrical room on the third floor of the plant. The room is dark and eerily quiet... except for a faint sound you can hear from the back. You notice some flickering light. Snapping on your flashlight you move slowly to the back of the room where the sound is coming from. To your surprise it's Larry... he's lying on the ground with half his body inside an open panel." Now let me ask you a question... are any of these options practicable? I'm only kidding, but hopefully, you get my point. The definition doesn't apply to this situation or in my opinion most situations in the real world. And let me ask you one more question.. which training would be more engaging? I firmly believe there needs to be a shift in focus for electrical safety (and for that matter all safety) training. People are smart, they pick up the concepts very quickly but it's connecting those concepts to the real world and understanding when and how to use them that matters most.